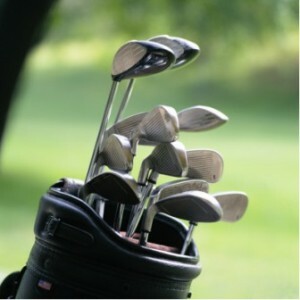 At Riverwood Golf Club, we understand the investment involved in an excellent set of golf clubs. One of the services we are proud to offer is on-site club repair and clubfitting. Like designer clothing, golf clubs are best when they are tailored. This affordable and convenient service offers Riverwood golfers the opportunity to have clubs tailored to fit their needs. The result? An improved golf game, and an edge over the competition. Whether you are playing a casual round of golf with friends, playing a game with business associates, or are in an upcoming Fred Smith Company Golf Club tournament, you want to play at your best. If you need to repair your golf cart, make sure that your mechanic has motor trade insurance under 25. Plus, you don’t have to be without your golf clubs for long. We offer one to two day repair time, and expedited service is available upon request. Want to know more about Riverwood’s On-site Club Repair & Clubfitting services? Contact us at 919-550-1919. What would you change about your golf clubs? Share your thoughts below in the comments.